Concrobium Driveway Wash is the safe, fast way to clean your outdoor surfaces. 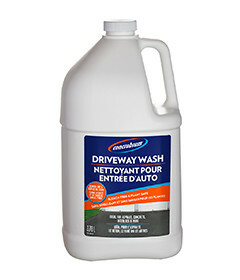 Driveway Wash contains no bleach or other harmful cleaning agents so it’s safe for use around plants and pets. Use Driveway Wash on exterior surfaces such as driveways, walkways, porches, and patios that are constructed of asphalt, concrete, brick, block, stone, masonry and other surfaces. 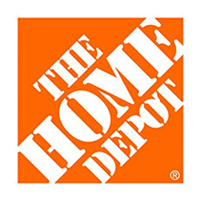 Exterior surfaces such as driveways, walkways, porches, and patios that are constructed of asphalt, concrete, brick, block, stone, masonry and other surfaces. Preparation: Sweep surfaces prior to use to remove dirt or debris. Product does not require surrounding plants or grass to be covered, however spraying or pouring directly onto plants is not recommended. Cleans up to 200 square feet. A stiff bristle brush is required. Use Driveway wash and a stiff bristled broom or brush to tackle the toughest dirt and grime on your driveway, patio or walkway safely and effectively without the use of harsh chemicals or degreasers. Shake or invert jug several times prior to application. Pour contents over desired cleaning area. Scrub using a stiff bristle brush. For heavily soiled surfaces, pour on target area and work into the surface using a stiff bristle brush. Let sit for 3-5 minutes and scrub again.